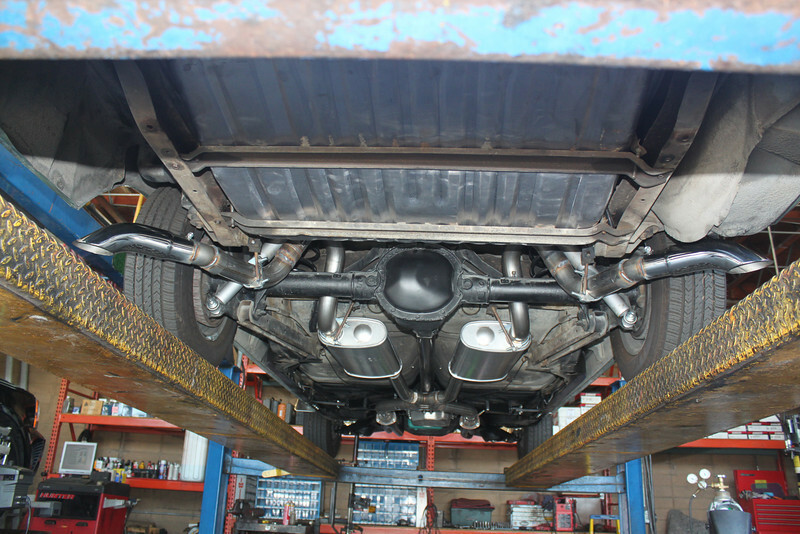 Photos of the newly installed Pypes dual exhaust system on Biquette. Also photos of new receiver hitch and the transport back to Orinda Motors. Layout of exhaust tips going behind the tires to avoid exhaust around the tailgate.